Sailor Jerrys last frame, was called the Streamliner, because it’s a smaller, lighter version of the Bulldog frame. The quick change is very functional, it is relatively lightweight and at the same time very sturdy and has the best geometry of 3 different models cast by Jerry in Broken Hill, Australia. The original Streamliner machine changed hands throughout the years starting with Jerry, then Mike Malone, then it was acquired by Sailor Jack, then Ed Hardy, Malone and Scott purchased it back after the death of Sailor Jack. In 1992 Scott bought out Hardy and Malone on the machine. The Streamliner then passed through Jimmy Hankins, Mav Mess, Wrath, Crash, Wrath, Arron Coleman until finally it landed back in the hands of Gordon “Wrath” Mccloud. 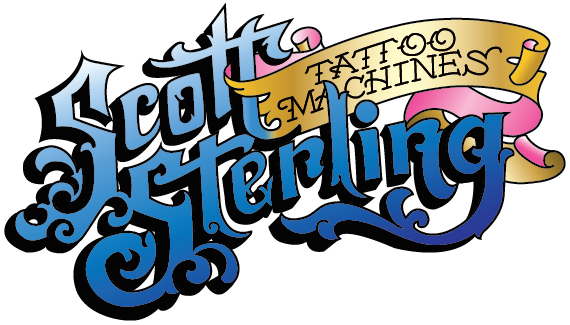 Gordon and Scott have partnered up for this project using the above mentioned machine, it is the only Streamliner to Scott's knowledge that was assembled by Sailor Jerry and not altered or even had a screw turned by anyone except the man himself. Scott and Wrath used the above mentioned Streamliner frame to make a prototype. The machinists that made the prototype told them that it was a fabricated machine and not cast, as originally assumed. They had the machine inspected by multiple machinists and finally had an acid etched procedure done to the frame to verify that it was fabricated by Jerry and not cast. the metal that the streamliner is made of is as close to the original according to our expert machinists ensure that they could utilize the same materials Jerry originally fabricated it with. it has been milled and drilled with the same coil placement, tube vice style and geometry as Jerry built the machine, the only modification is a slight angle on the back spring shelf to reduce tension on the back spring and a 64th of an inch between the coils to accommodate a slightly larger coil fiber. The Sterling Sailor Jerry Streamliner is sprung the same manner that Jerry did his. Scott and Gordon agree that it is one of the best dimensions for a shader frame that Jerry had made and also Jerry’s ultimate achievement. The Streamliner is limited to 52 machines in 2015 and more than half are already gone. The end result is an excellent running machine as close to the original as possible. Each machine is numbered with an oil antiqued finish that will almost certainly become a collectors item.